There will be no coup come 15th of November. 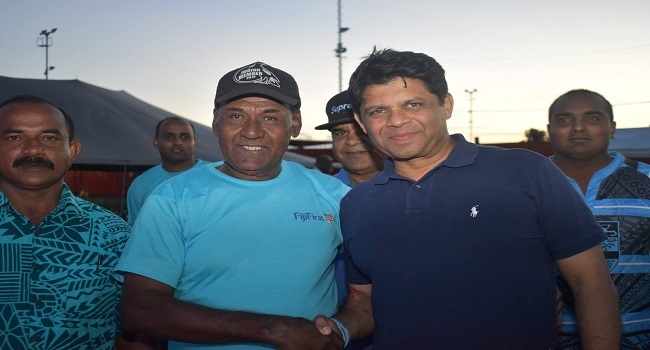 This was FijiFirst General Secretary Aiyaz Sayed-Khaiyum’s statement during the party’s family fun day in Labasa. Sayed-Khaiyum says he heard this rumor of a coup happening a day after election, which is not true. Sayed-Khaiyum adds that there’s another rumor that Muslims are taking over and reiterates that these are complete lies. Sayed-Khaiyum told the people of Labasa that all they have to do is focus on the real issues. He adds that doesn’t mean that everyone is called Fijian, Itaukei land, culture and religion will be taken away. Sayed-Khaiyum mentions that Fijian simply mean common and equal citizenry to be united.